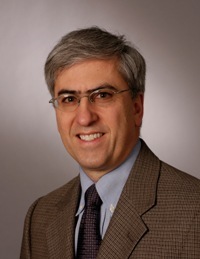 Dr. Finkelstein is a Professor in the Department of Population Medicine and in the Department of Pediatrics. He is a pediatrician, health services researcher and Vice Chair for Quality and Outcomes in the Department of Medicine at Boston Children’s Hospital. He completed his clinical training and a fellowship in health services research at Boston Children’s Hospital, with an MPH from the Harvard School of Public Health, and later was a Robert Wood Johnson Foundation Generalist Faculty Scholar. Dr. Finkelstein’s work combines health services research with quality improvement methods to enhance care delivery for children. For example, he has led studies to measure and improve antibiotic prescribing for children, including a randomized trial of a community-based approach to promoting appropriate antibiotic use. He continues to lead an NIH-funded longitudinal study of a carriage and resistance of a common bacterial pathogen (S. pneumoniae) in the community. In addition, he co-directs the Pediatric Health Services Research Fellowship and practices primary care pediatrics at the Children’s Hospital Primary Care Center. Dr. Finkelstein holds the Donald M. Berwick Chair in Pediatric Quality and Outcomes at Boston Children's Hospital.